After taking Udyambag by surprise and demolishing the structures road which came in the 120 feet road width, Friday evening the officials again made fresh markings on the all the structures from 3rd gate to Mahveer Bhavan. 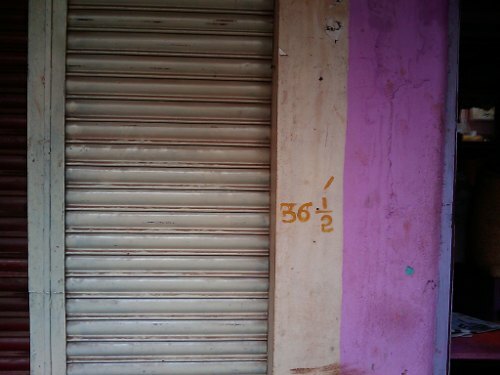 The markings were first done in July 2011but due to the protest of the shop owners and residents the plan was put on hold. All shop owners were in panic and all said without compensation they will not allow the bulldozers to touch their structures. 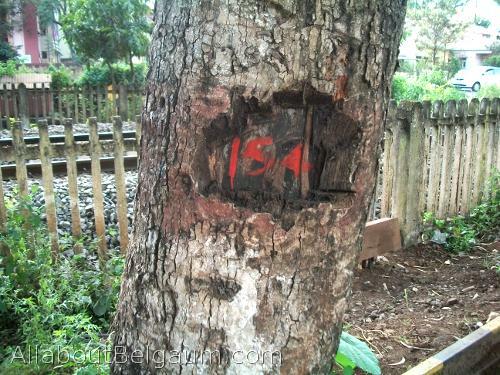 As many as 156 trees have been marked with numbers which will face the first brunt. There are some very big and huge trees on this entire route, all of which will be destroyed in the road widening. The road widening will be done only upto 3rd gate and one is till not clear whether the railway gate would also be widened as it falls under the railways. So incase the gate is not widened there is little utility of widening the road.